Pharma Franchise in Chennai– Innovexia Life Science is a reputed private company which is an ISO 9001:2008 certified pharma franchise company. Being a patient-centric company we have always believed in presenting affordable yet qualitative products. We own more than 200+ DCGI approved products which are manufactured in our self-owned GMP and WHO certified production units and plants. They all have been made under prescribed form of industry standards and government guidelines. We believe in ethical ways to achieve success which makes a proud name among our associates which are more than 250+ & we are inviting new faces for our PCD pharma franchise in Chennai. Get in touch with the best pharma company who believes in successive innovation which is credited to the team of departments. They consist of specialist and wise people, who helped us strike perfect combinations of atoms and molecules for good formulations. We are looking for individuals and people who can be our member through pharma franchise in Chennai which is the best city to set up a business. Being a smart city, we are offering PCD pharma franchise in its successive districts and sectors. We are offering you a great business plan with great professional support. It is a city of great opportunities. Get to some of the facts to co-relate to the statistics of this beautiful city of known to be the Gateway of South India, Chennai. 45% of foreign health tourists from around the world. 30% – 40% health tourist or visitors from around the country. 4th largest economy and 3rd highest Gross development product (GDP) with good purchasing power for medical care. Linked with golden quadrilateral and all provides all types of the transportation system for easy delivery. Chennai city is a pool for golden opportunities and a highway to success. 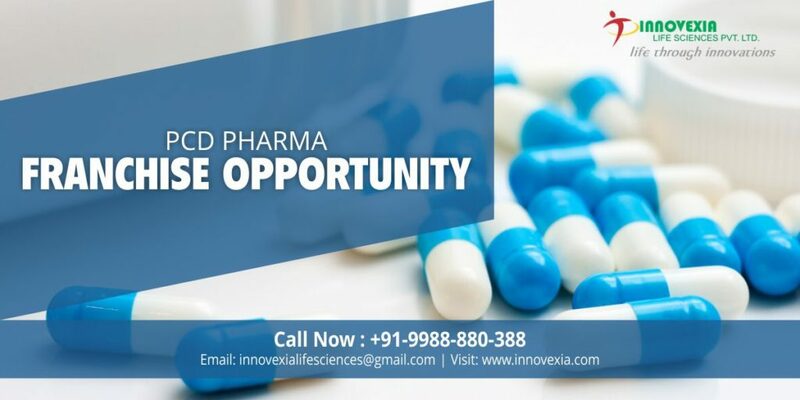 Come become a part by associating with a reputed pharma company, Innovexia Life Science which will help you flourish successfully. Innovexia Life Science believes in quality. We own over 200+ medical products which are all DCGI approved. A good Quality Control Measurements have been followed to check the quality, purity and durability of the medicines. The raw materials have been derived from known and experienced hands of this domain. Our main motives are to deliver qualitative products which are affordable for every section of the population. Our associate will get the best quality and effective pharma products. All the products will be delivered with attractive packing and on time delivery. We specialise in these following. We need a minimum experience of3- 5 years from a reputed Pharmacy company. A person who is a registered pharmacist in State Pharmacy Council can also apply. Minimum 3-5 lakhs is needed. A close network of 5-6 good practising doctors. They are also eligible- Distributers/Retailers / Medical representatives/ Wholesalers. A copy of sales track report needed to be submitted to the office. Final selection through an interview. Why to Choose us for Pharma Franchise? Innovexia Life Science is an esteemed company which has touched every milestone with the help of Mr Sandeep Khajuria and Mr Rohit Sharma who have rich experience of over 16 years in reputed companies of pharmaceutical industries. They made the company what it is today and take pride on being professional & ethical. Our units being GMP & WHO certified, we have the latest technologies being installed in it with all the industrial standards and guidelines followed diligently. Affordable products while great in quality. Professional service and support guaranteed. Genuine investment planning and sales target. Long and transparent dealing with no hidden shock. Marketing inputs and medical updates being regularly given. No pressure. Be your own boss. The top PCD Pharma Company in Chennai invites you to be its part. PCD Pharma distributors in Chennai, the market representative, and other pharma professionals can be our business partner and start their own venture in Chennai with us. So, do not miss the opportunity.